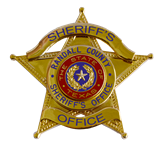 Augie Torres filed this request with the Randall County Sheriff of Randall County, TX. Attached please find the records responsive to your request for "A copy of the current contract between the County and the current vendor for inmate communication services at the County Correctional / Detention Facility." I wanted to follow up on the following Texas Public Information Act request, copied below, and originally submitted on April 3, 2018. Please let me know when I can expect to receive a response, or if further clarification is needed. A copy of the contract was sent to the MuckRock preferred email address on April 5, 2018. If you did not receive the copy, please check with MuckRock. If they alleged they did not receive it, please let us know and we will send another copy.